Grind coffee and spices quickly and quietly. 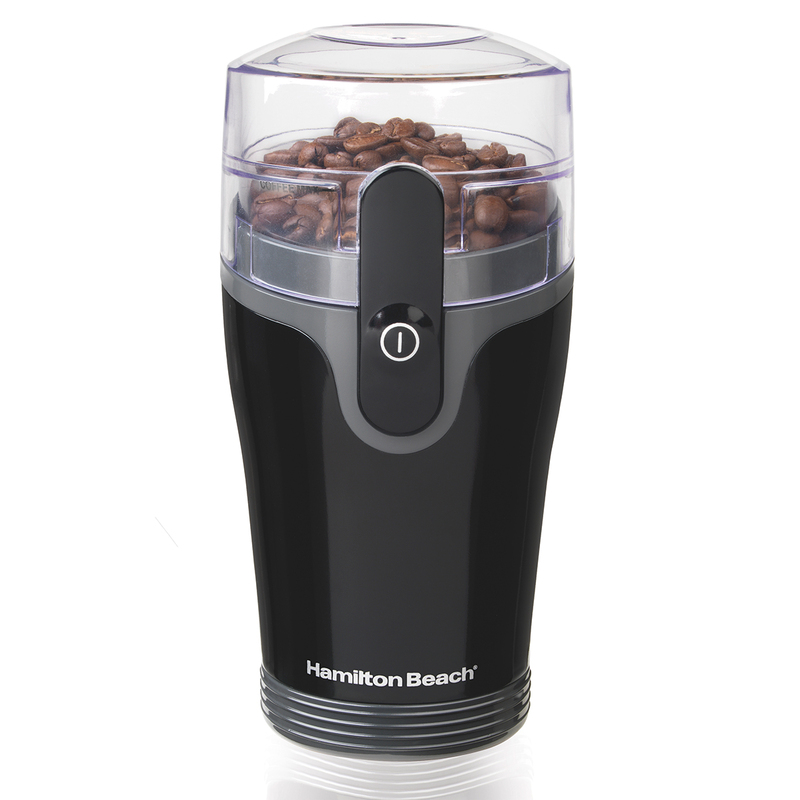 The Hamilton Beach® Fresh Grind™ Coffee Grinder is quieter than the leading competitor, which means you can turn your favorite coffee beans into fresh grounds with less noise. 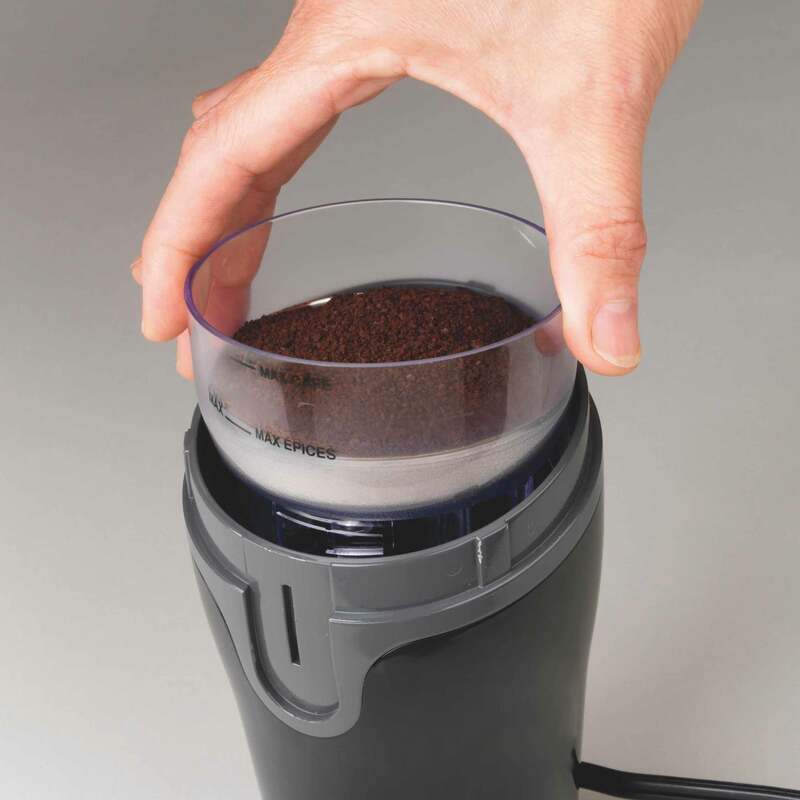 This electric coffee grinder makes quick work of turning your beans into grounds for brewing. The durable stainless steel blades can also grind spices, and the removable grinding chamber makes filling and cleanup easy. The cord wraps around the base in a hidden compartment for neat storage. Whether it’s early morning or late at night, you can make fresh grounds without making too much noise because the Fresh Grind™ operates quieter. 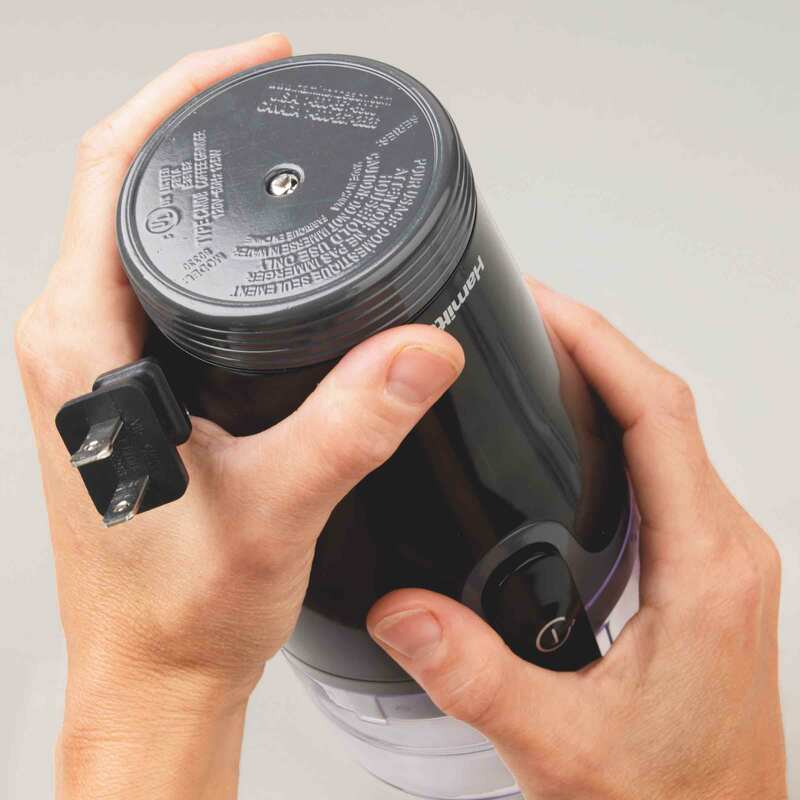 A hide-away cord storage at the bottom of the grinder stores the cord neatly and out of sight when it is not in use.